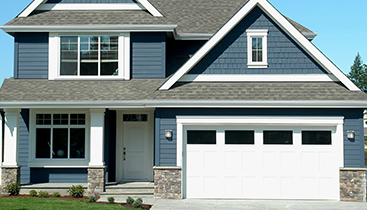 The roof of your home holds everything together and protects what is inside. so when you’re in need of roof repair or a completely new roof, you need someone reliable, trustworthy, and affordable. There are a lot of roofing companies out there who claim to be the best, but how do you know, when comparing all of your local roofing contractors, who to hire? Find out what to ask a roof repair company in order to learn the most about their business and the product. This might seem like an obvious question to ask, but when it comes to your home, when an important question needs to be asked, ask it. Licensing depends on the state requirements, and some states require that roofing contractors have a license. Georgia does not require such a license; however, if the company that you are requesting information from has a license, that’s an added bonus. 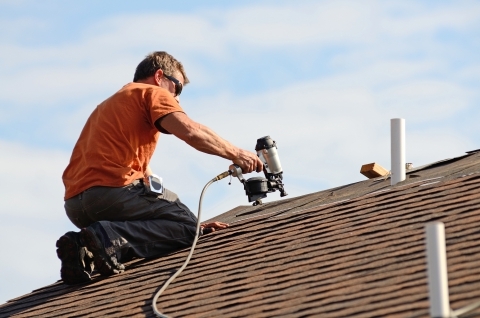 Hiring a roofing contractor who has workman’s compensation is very important for the homeowner. If an employee is injured on your property, you could be the one paying for the medical costs. When the company insures their employees, the responsibility is theirs. While workman’s comp covers the employees working on your property, general liability covers your actual property. This is also very important for when a contractor accidentally burns your house down, you won’t be the one who has to pay for the damage. A roofing company should have a certificate of insurance that has your name and address listed as an additional property that is insured. Just like you want to have homeowners insurance to protect your home, when you hire a roofing company, they should want to keep you from having to pay for damages that may occur. When replacing an entire roof, a contractor can look at the existing roof, sometimes by eye, and see that it can just be shingled over. This will save time and money in the short term, but if there are problems that are missed like soft spots or rotten wood beneath the current roof, it will cost significantly more in the long term. 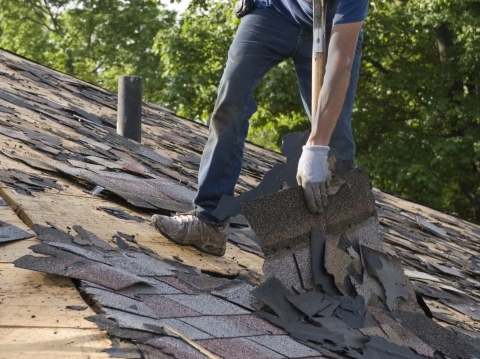 When replacing an entire roof, remove the old one completely before installing the new roof. 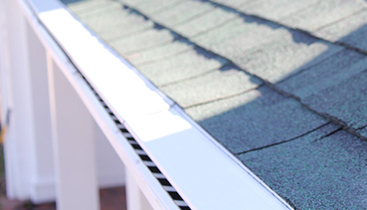 Are You Installing Drip Edge When Installing the New Roof? A drip edge is a piece of metal that is installed underneath the shingles that hangs over the edge of the roof. This piece will ensure that water goes into the gutters, rather than behind them, causing water damage. A roofing contractor may skip over this step, saving money, if they aren’t asked about it. Ask about the drip edge prior to hiring a company and they can add it into price estimate. Roofing contractors are specialists in their field, would you know what to ask a doctor about a specific surgery? 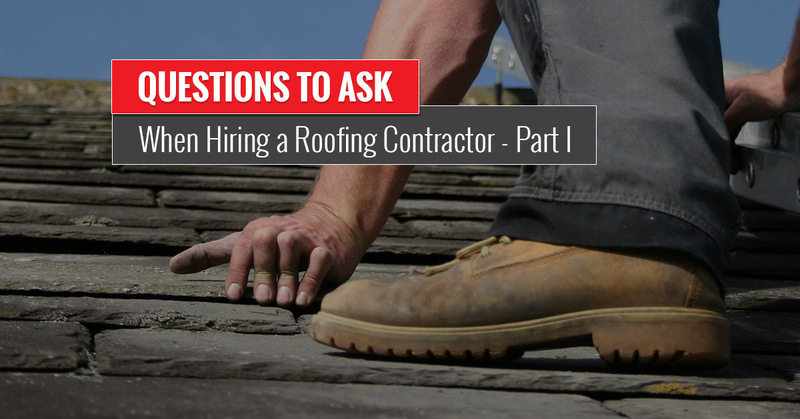 Asking these questions, and more to come, is important when learning about a roofing company you are planning on hiring to install a new roof. 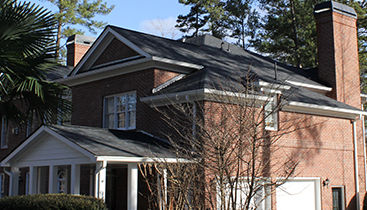 Contact Falcon Exteriors when you need a roofing company who are professionals and is experienced, reliable and has quality materials.